Our OO gauge model train collections & job lots include locomotive collections and RAKES of rolling stock, from carriages to freight wagons & carriages. 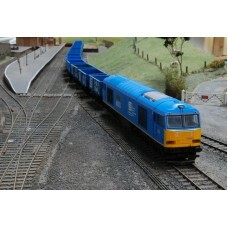 We have compiled these model train collections as entire job-lots available to buy now. Collections are made up of similar loco classes or wagon liveries where possible, though we have put together some personal collections of wagons / carriages that might take your fancy. Trains sets and packs in OO gauge will also be available to buy, again compiled by us into model train collections for those looking for job lot OO gauge model discounts. Take a look around and see what you can pick-up. 12th February: Sorry, this item has been sold on eBay & is no longer availableThe following deta.. This Bachmann Rake of 7 Maroon Coaches includes the following items. All are in excellent condition ..